The KDT Cervical provides improved comfort while applying Decompression to the Cervical Spine. The patent pending mid-section elevation allows full support to the lumbar spine while lowering Thoracic kyphosis. The biomechanically correct position enables a full range of cervical angulation. Patients with a defined directional preference as described in the Kennedy Decompression Technique, can be positioned appropriately to allow cervical discs to migrate centrally without an increase in muscular tension. The KDT-655 Neural-Flex provides improved comfort while applying Decompression to the Cervical Spine. The patent pending mid-section elevation allows full support to the lumbar spine while lowering Thoracic kyphosis. This biomechanically correct position enables a full range of cervical angulation. Patients with a defined directional preference as described in the Kennedy Decompression Technique, can be positioned appropriately to allow cervical discs to migrate centrally without an increase in muscular tension. The KDT-655 Neural-Flex® Table offers the popular and ubiquitous Clinical Cervical Device with some advantages over it’s application on other tables. The Cervical treatment on the KDT-655 Neural-Flex® Table allows more deep flexion and a moderate amount of extension when using the RB pillow which is included with the table. 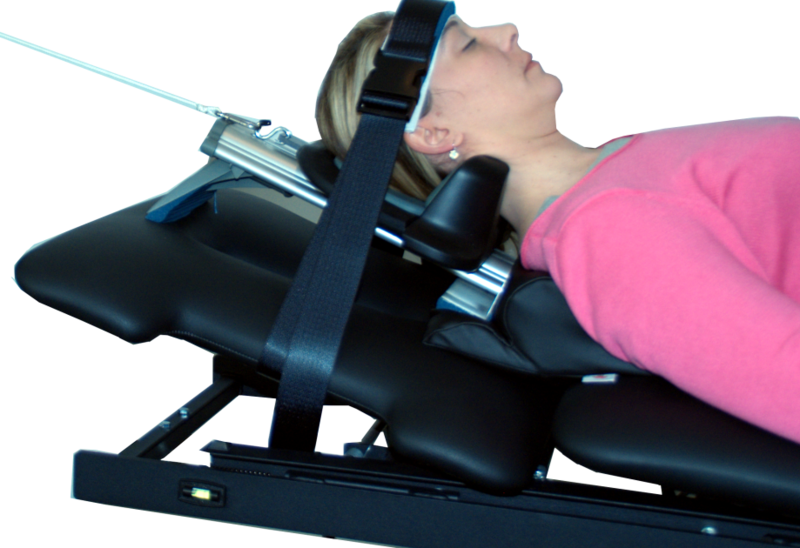 The KDT-655 Neural-Flex® Table also offers complete lateralization of pull and even moderate rotation. Dear Kennedy Decompression Systems: The “New” KDT Cervical Device is patient friendly and can be adapted to the Triton DTS and many other decompression systems. The feedback from my patients has been wonderful!!! Any practitioner not using the latest KDT Cervical Device is short-changing the quality of the cervical treatment process.